We tried to cook my mom's signature dish ' chau lup lup' which translated in Cantonese , it means fry all the small pieces , but it didn't taste like mom's cooking reason being we did not add in roasted peanuts. But just the same, it tasted delicious. 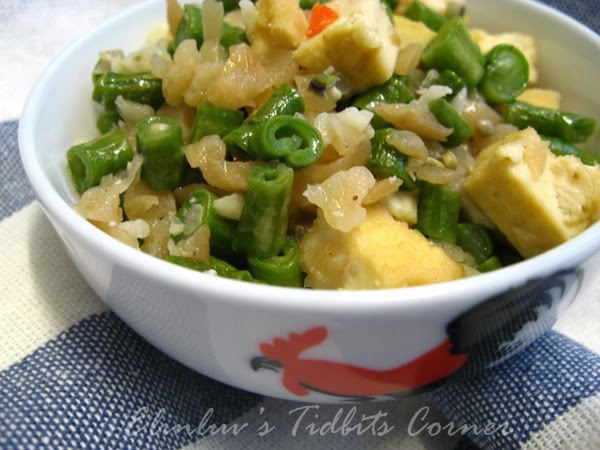 The dish comprises of preserved radish, diced dry tofu - the firm and hard type , diced long beans and cut red chillies . Simply stir fry all the diced ingredients with chopped garlic and let me tell you , this goes well with a bowl of teochew porridge. Thanks to WB for helping out in cooking this delicious and appetizing dish. In a non-stick wok , saute chopped garlic and preserved radish with a tbsp of vegetable oil till fragrant. Add in all the diced ingredients and chillies and continue to stir fry till well combined. 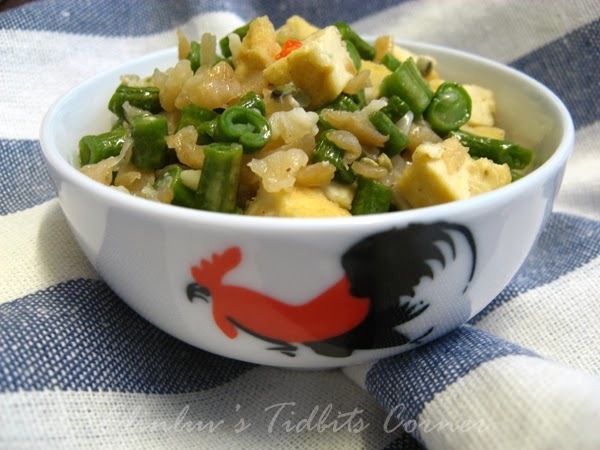 Add a few tbsp of water and continue to stir fry till the long beans are properly cooked. Add in a few dash of white pepper and salt to taste before dishing up. My mum used to cook this too. I like it with white porridge.